The U.S. District Court for the Northern District of Illinois recently granted ClearOne’s request to add a claim of infringement of ClearOne’s new patent, U.S. Patent No. 9,813,806 (“the ’806 Patent”), to its existing lawsuit against Shure Inc. The ’806 Patent, titled “Integrated Beamforming Microphone Array and Ceiling or Wall Tile,” describes, among other things, a beamforming microphone array integrated into a ceiling-tile form that is designed to be used in a drop ceiling. ClearOne alleges that Shure is infringing the ’806 Patent by making, using, selling, and offering to sell the Shure MXA910 beamforming microphone ceiling array product. 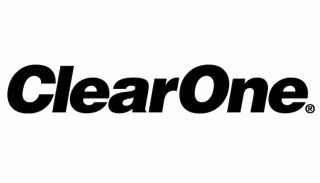 ClearOne’s existing lawsuit against Shure also alleges that Shure, itself and jointly with others, infringes ClearOne’s U.S. Patent No. 9,635,186 (“the ’186 Patent”). Although Shure recently added the claim that the ’186 Patent was unenforceable, ClearOne rejects this claim and will vigorously defend the ’186 Patent and prosecute Shure’s infringement. On February 14, 2018, the court held a hearing on ClearOne’s request for preliminary injunctive relief seeking, among other things, to prevent Shure from selling, or encouraging others to use, the Shure MXA910 and the Shure P300 audio conferencing processor in certain configurations that infringe the ’186 Patent. A preliminary injunction is extraordinary relief and requires, among other things, a clear showing that the party seeking relief is at risk of irreparable harm. The court is expected to issue its order in approximately two weeks.